FRANKFURT (Bloomberg) -- Mercedes-Benz is selling almost as many Maybach cars in China each month as it used to sell worldwide in a year when it targeted the super-rich with a stand-alone model. Chinese buyers are snapping up about 500 a month of the ultraluxury variant of the Mercedes S class, which starts at about 1.44 million yuan ($230,000) in China. That compares to a peak of 600 Maybach cars in 2003, which at the time cost more than $350,000. "Sales in China are developing very well," Ola Kaellenius, sales chief for Mercedes, said. Daimler revived Maybach this year to chase the wealthiest buyers, people who otherwise might have considered a Rolls-Royce or a Bentley. 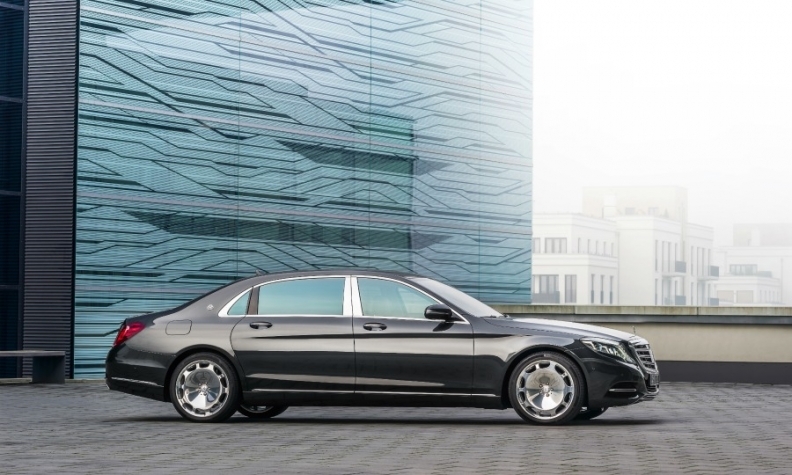 The Mercedes-Maybach adds legroom and opulent options such as hand-made silver-plated champagne goblets to the standard S class. The effort appears to be working. Mercedes started selling Maybach in China in February as part of a push to catch up with BMW and Audi in the world's largest auto market, which is suffering a slowdown. Mercedes sales rose 20 percent last month, driven not just by Maybach but also by compact cars and SUVs. Audi, the bestselling upscale car brand in the country, posted its first sales decline in the country in more than two years. "We're very optimistic that we can sustain the sales momentum," Daimler CEO Dieter Zetsche said on Wednesday at an event near Stuttgart, Germany. Zetsche needs strong growth in China to hit his goal of overtaking BMW and Audi in global sales by the end of the decade. China, the world's biggest market for the S class, is also key for profit margins because of the high numbers of top-of-the-line vehicles sold there. Taxes and fees push up sticker prices, especially on imported vehicles like the Maybach. Mercedes promotes the ultraluxury nameplate in China as "the premier choice of China's modern-day luminaries as they show their utmost respect to the world." The first effort to revive the 1930s-era marque started in 2002 and failed in part because the car was too similar to the S class, even though it won over customers like pop star Madonna. By 2011, when Daimler decided to phase out the brand, it was selling between 200 and 300 cars a year.